This is a history of Russia, Central Asia and Mongolia from the time of the first inhabitants of the region up-to the break-up of the Mongol Empire in 1260 AD. Inner Eurasia, as the author defines it, comprises most of the former Soviet Union and Russia's huge territories in Siberia; Russia's former empire in Central Asia; China's central Asian empire; and Mongolia, both the parts within China and those within the Mongolian People's Republic. 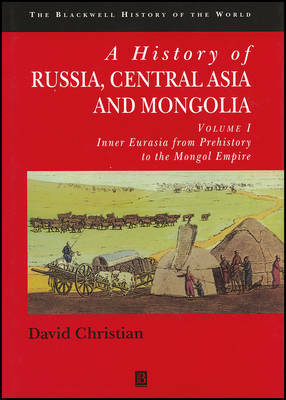 The author presents Inner Eurasia as a coherent region with an underlying unity in geography and history despite its cultural and ecological variety.This volume, the first of two surveying this region, charts developments from the Old Stone Age, through changes under such peoples as the Scythians, the Huns and the Turks, to the emergence of an identifiable "Rus" - the society from which modern Russia and Ukraine have evolved. The book sets political events in the broadest context of social and economic change, linking evolution to the vast geography of the territories it describes. Together with volume II, covering the period up-to the present, the work represents the most thorough, up-to-date study of this fascinating and much misunderstood region of the world.